Pollys Planting and Plucking | White-tails and Rabbits and Slugs! Oh, My! White-tails and Rabbits and Slugs! Oh, My! 25 Mar White-tails and Rabbits and Slugs! Oh, My! They’re cute, they’re cuddly, they’re slimy, and they’re HUNGRY! Yes, the garden scourges you need to worry about right now are the 4-legged & NO-legged ones. Bambi and Thumper are cute and fun while rollicking in a Disney film but you do not want them prancing around in your gardens. These furry four-leggers have been surviving on roots & bark all winter and would love nothing more than to munch on fresh, tender, green shoots in the spring. 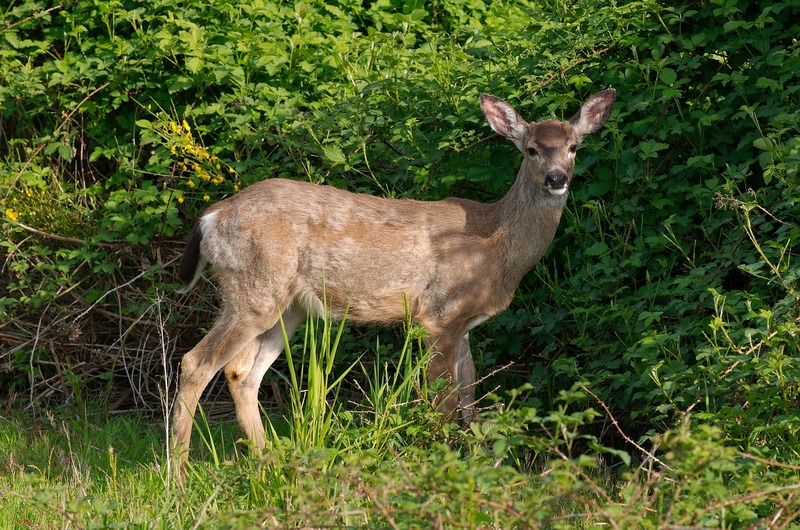 If you didn’t install winter deer fencing around your shrubs and gardens or have already taken it down, now is the time to apply animal repellents to areas including your precious perennials as well as your spring and summer blooming bulbs. There are scent deterrents like Liquid Fence and Green Screen or taste/contact deterrents like Hot Pepper Wax that are easy to apply and readily available here at Polly’s. Some will need to be reapplied as new growth forms or as spring showers wash them away. Sounds like we had better stock up! By the way, there’s also an organic version safe for vegetable gardens.